The ‘house like a store’ is located in a residential area on the suburbs of Tokyo. 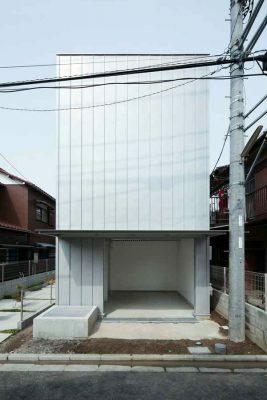 By providing the underground space, the volume of three floors encloses the space of two layers. The parking has a large canopy, such as loading dock. It can be used as a space people gather and is intended to successive to the streets.